Looking for Best Budget Hotels in Calangute, Goa? 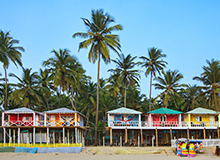 Located in the northern part of Goa, Calangute is one of its most famous neighbourhoods. 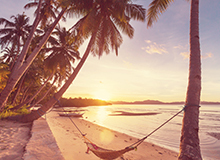 With a sandy beach on the west and lush palms everywhere else, it is truly a visual paradise. 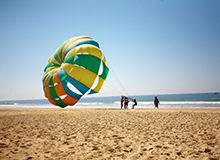 Plus, several adventure activities like parasailing and jet skiing are organised here. 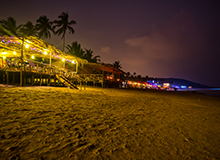 Restaurants, café’s, beach shacks and nightclubs abound, making Calangute the main tourist hub of Goa. This is why people come here in large numbers and hotels in Calangute Goa are innumerable. FabHotels has the best hotels in Calangute Goa with well-equipped rooms, stunning surroundings and hospitable staff. We also have several resorts in Calangute Goa with luxury amenities like swimming pool, gymnasium, restaurant and bar. Be it the peak season or the off season, you can book hotels in goa near Calangute Beach and other areas at the best price. You can see a comprehensive Calangute Beach hotels list on our website and mobile app with prices, location, amenities and guest policies clearly mentioned. 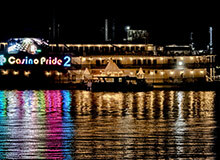 Filters can be set to narrow down this list according to various aspects so you see only the relevant hotels. 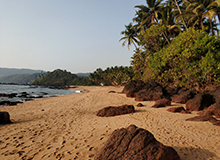 Make an online hotel booking in Calangute for incredible deals and offers. 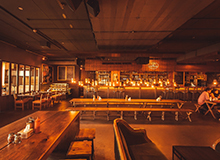 By enrolling in our A-List loyalty programme, you earn Fab Credits on every booking you make. These points can later be redeemed for heavy discounts and free stays. Refer us to your loved ones and earn up to ₹ 5000. You can reach Calangute from Madgaon Railway Station via buses or hired taxis. 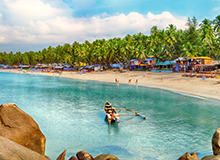 Sunbathing, enjoying watersports and moonlit walks, shopping, partying at nightclubs, visiting Portuguese churches and gorging on Goan delicacies at a beach shack are the best things to do near Calangute. FabHotel Arotel Rooms & Suites, and FabHotel Prime Sarala Crown are among the best hotels in Calangute with swimming pool. Spices, cashew feni, handicrafts, accessories and chorizo are some of the best things to buy near Calangute in Goa. Yes, we have 4 star hotels in Goa near Calangute Beach, including FabHotel Prime Casa Kiara and FabHotel Prime The King's Court. A Reverie, Go With The Flow and Tuscany Gardens are some of the best restaurants in Calangute for a candle light dinner. 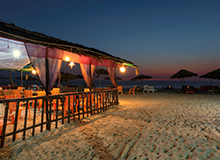 About 3.6 km away, Tito’s Lane is the best place for parties in Goa near Calangute. FabHotel Sharanam Green Resort is one of the best beachside resorts in Calangute, Goa. The good budget hotels in Calangute Goa for unmarried couples include FabHotel Calangute Resort and FabHotel Prime The King's Court. 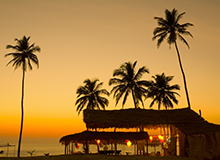 Yes, it is possible to directly book a hotel in Calangute, Goa. All you have to do is visit our website or download our mobile app, and then fill in your destination, check-in and check-out dates, and number of guests in the space provided. Further, select from the list of hotels in Calangute, pick the room and make the payment. Rudy’s Golden Mermaid, Souza Lobo and Bubble’s are among the nicest beach shacks on Calangute Beach in Goa. Arpora Saturday Night Bazaar is the best place in Calangute to shop for handicrafts.